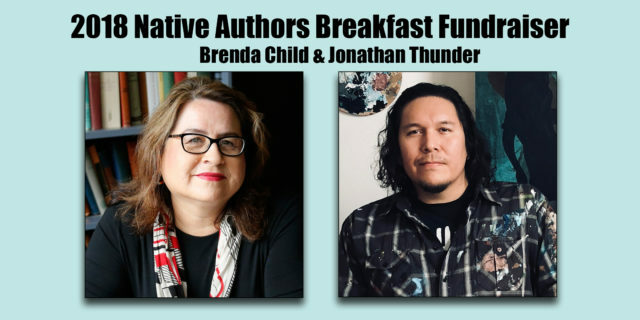 The Circle Board invites you to join us for our annual Native Authors Breakfast Fundraiser to support The Circle, the voice of Native American journalism in the Twin Cities, serving the Native community and regional readers for 38 years. 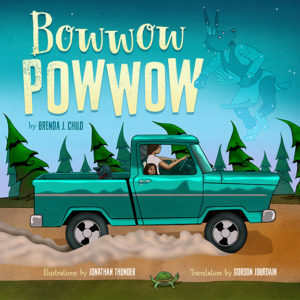 Brenda Child (Red Lake Ojibwe) will read from her new children’s book, Bowwow Powwow. 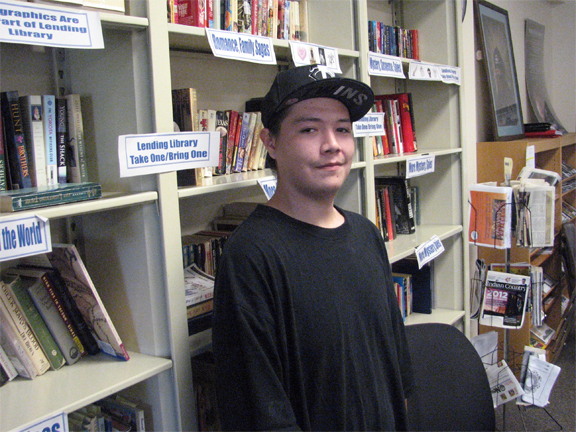 Artist and illustrator Jonathan Thunder (Red Lake Ojibwe) will discuss his artwork for the book. Please join us for a delicious breakfast, good conversation, and community engagement in the heart of the Minneapolis American Indian community. The best days of summer end at the powwow, but Windy Girl takes the revelry of the gathering one step farther, into a dreamworld where the dancers and singers are dogs. Windy Girl is blessed with a vivid imagination. From Uncle she gathers stories of long-ago traditions, about dances and sharing and gratitude. Windy can tell such stories herself—about her dog, Itchy Boy, and the way he dances to request a treat and how he wriggles with joy in response to, well, just about everything. When Uncle and Windy Girl and Itchy Boy attend a powwow, Windy watches the dancers and listens to the singers. She eats tasty food and joins family and friends around the campfire. Later, Windy falls asleep under the stars. Now Uncle’s stories inspire other visions in her head: a bowwow powwow, where all the dancers are dogs. In these magical scenes, Windy sees veterans in a Grand Entry, and a visiting drum group, and traditional dancers, grass dancers, and jingle-dress dancers—all with telltale ears and paws and tails. All celebrating in song and dance. All attesting to the wonder of the powwow. Brenda Child (Red Lake Ojibwe) is professor of American Studies at the University of Minnesota and author of Boarding School Seasons: American Indian Families, 1900-1940, Holding Our World Together: Ojibwe Women and the Survival of Community, and My Grandfather’s Knocking Sticks: Ojibwe Family Life and Labor on the Reservation, 1900-1940. Jonathan Thunder (Red Lake Ojibwe) is an award-winning painter and digital media artist living in Duluth, Minnesota. View his work at thunderfineart.com. 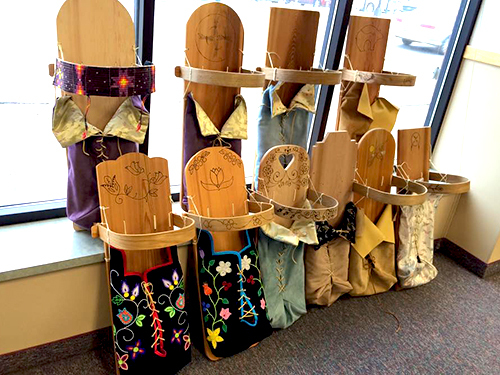 Gordon Jourdain (Lac La Croix First Nation) teaches at the Misaabekong Ojibwe Language Immersion program for Duluth Public Schools. See photos from last years event!! !